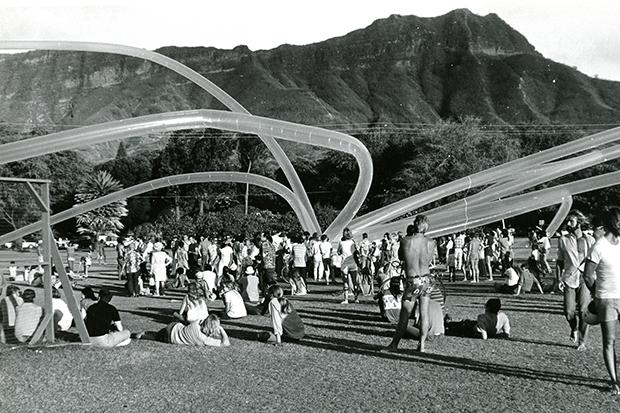 Home From the archives: Otto Piene’s “Sky Lei” in Kapi‘olani Park in 1970. 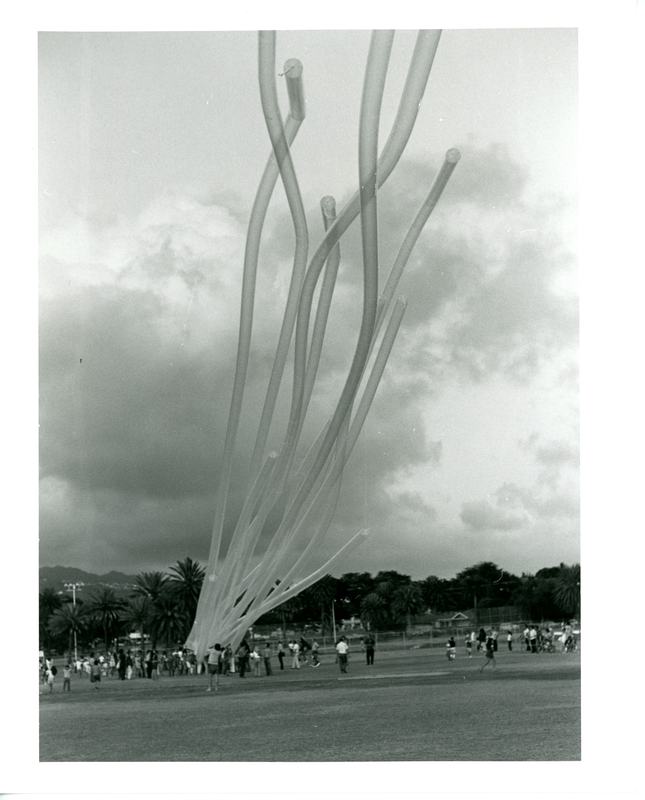 From the archives: Otto Piene’s “Sky Lei” in Kapi‘olani Park in 1970. Hanging from the ceilings of the Hawai‘i State Capitol’s House and Senate chambers are two spherical chandeliers, one encrusted with gold-plated globes, the other with nautilus shells. They are Sun and Moon, two kinetic light sculptures created by artist Otto Piene, a founding member of the collective Group ZERO, in 1969-70. In the fall of 1970, when Piene was in town to dedicate the Capitol chandeliers, the museum hosted an exhibition—and a “happening.” On Saturday, September 19, Piene and a group of volunteers created Sky Lei, an inflatable flower made from 2,500 feet of polyethylene tubing that flew 1,000 feet over Kapi‘olani Park.